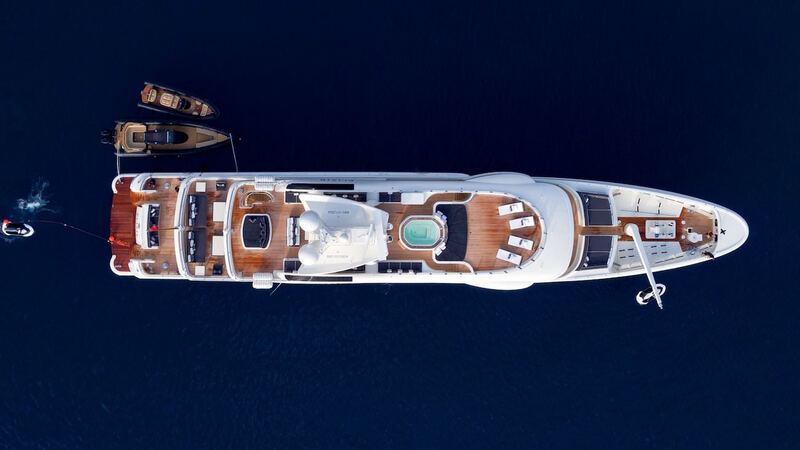 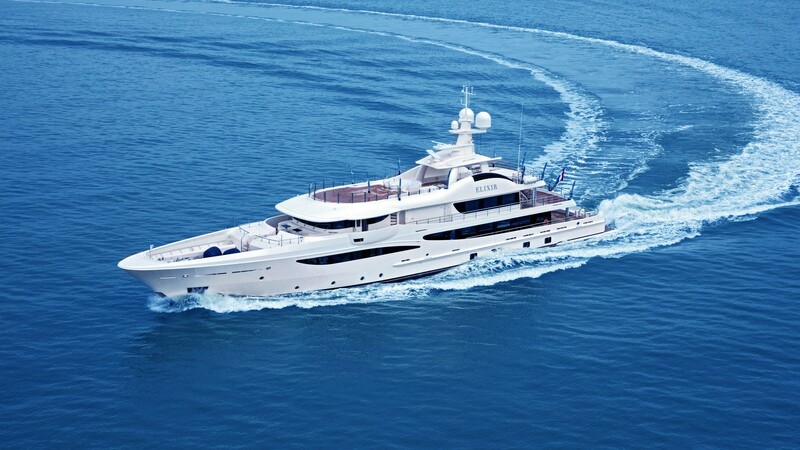 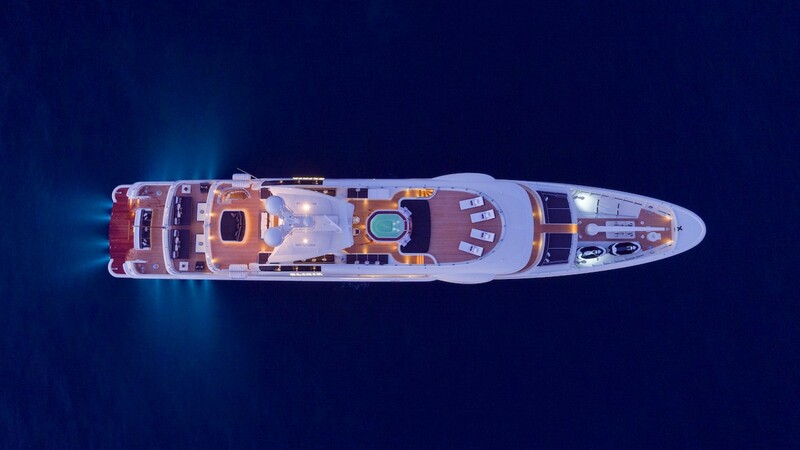 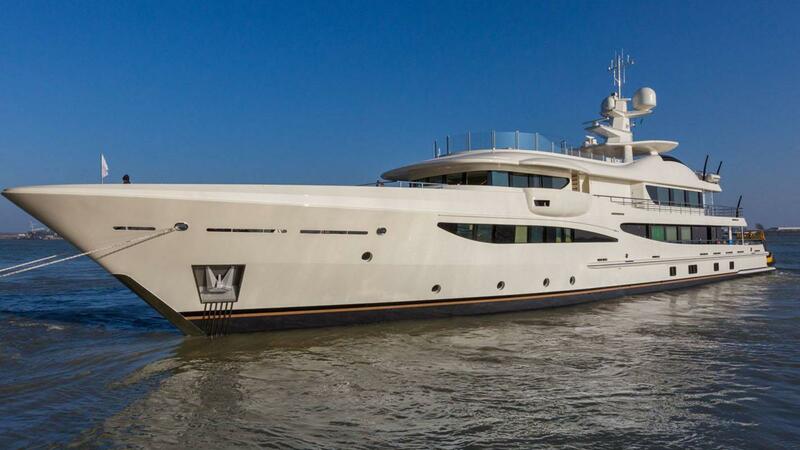 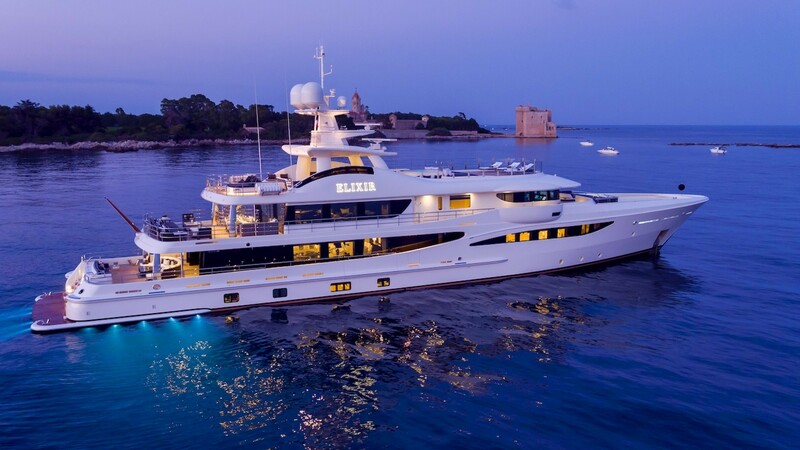 55m/180ft luxury yacht ELIXIR was built by Amels with a steel hull and aluminium superstructure in 2016 and is part of the Amels 180 series. 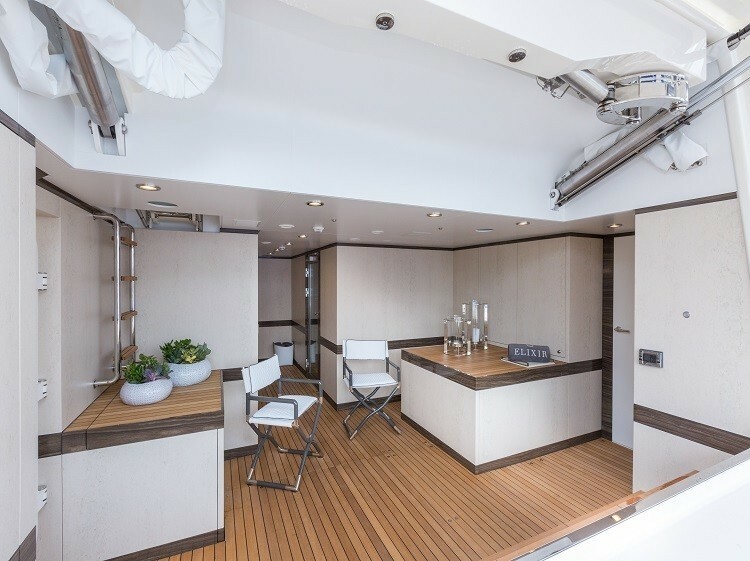 Her exterior styling is the work of Tim Heywood Design and the interiors were styled by Laura Sessa Romboli. 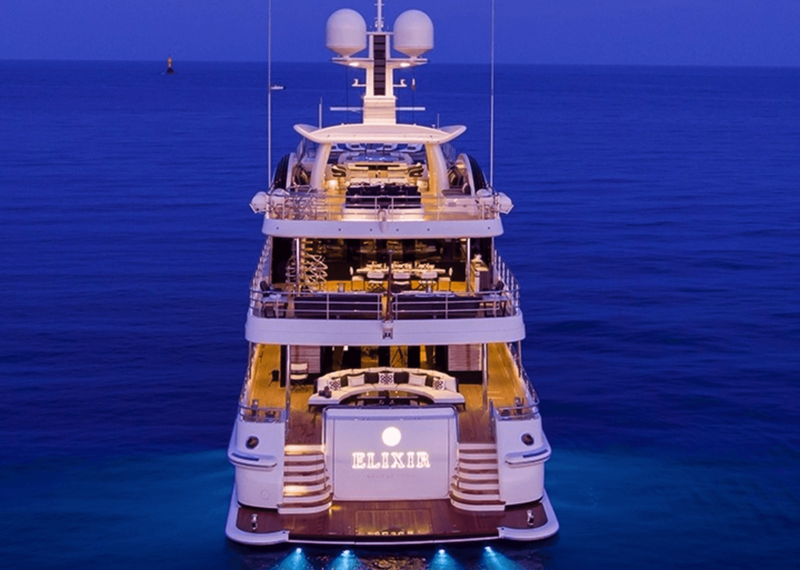 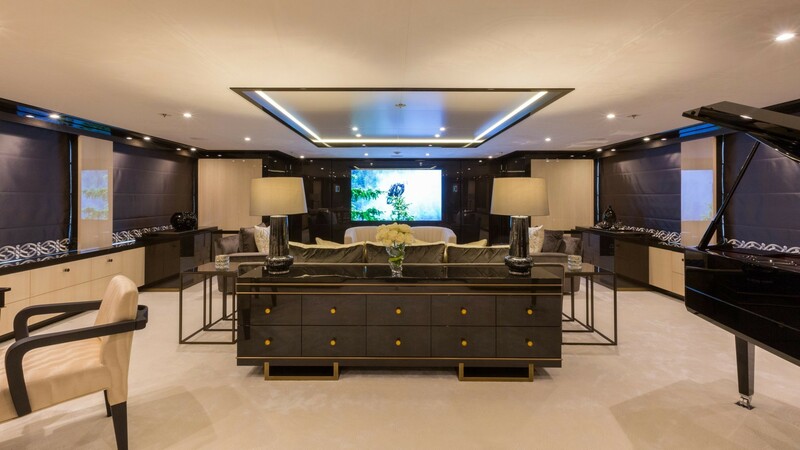 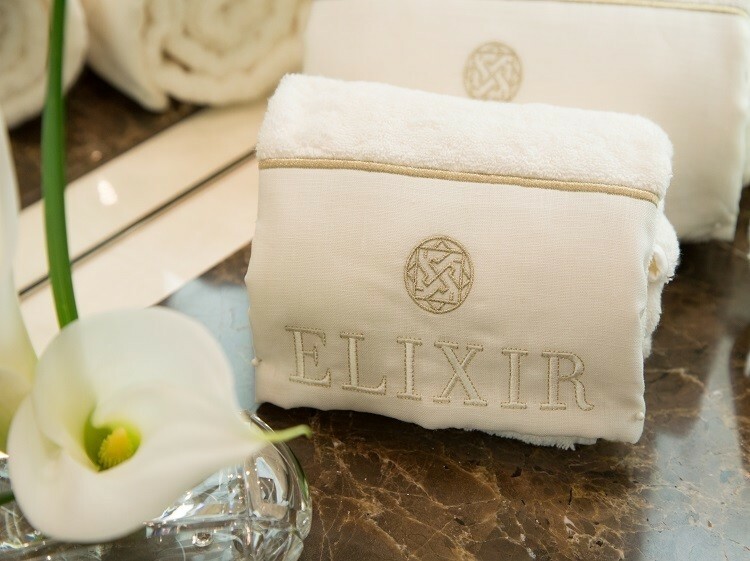 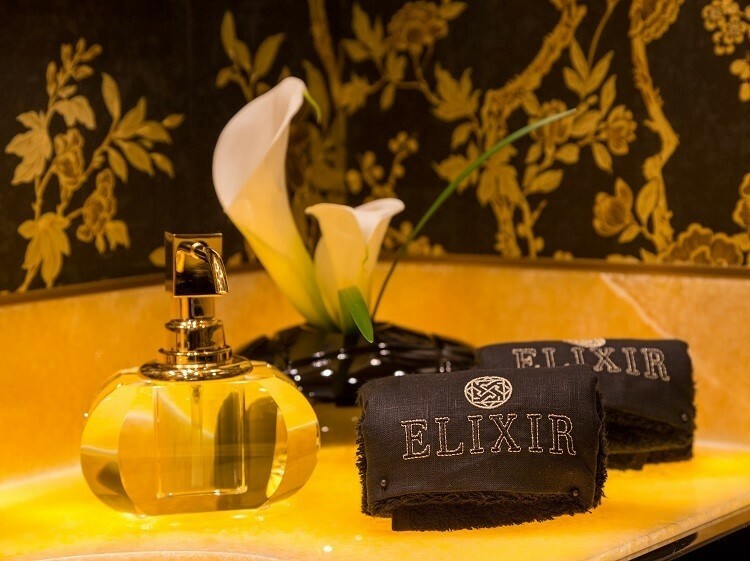 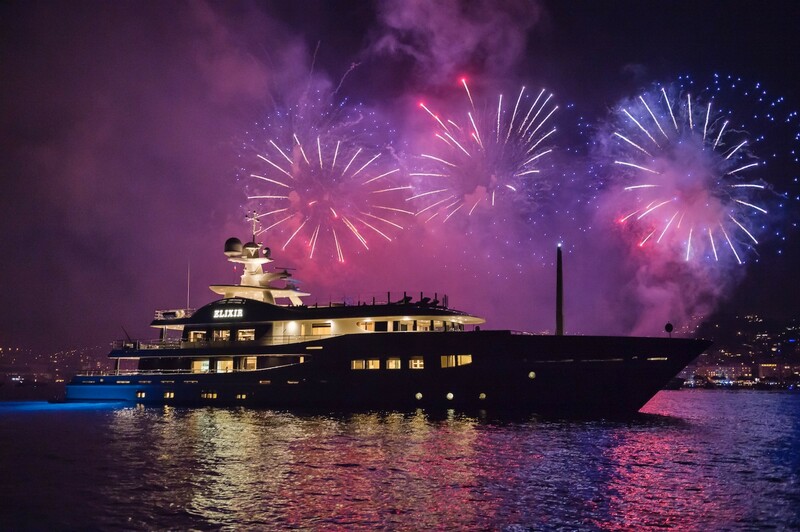 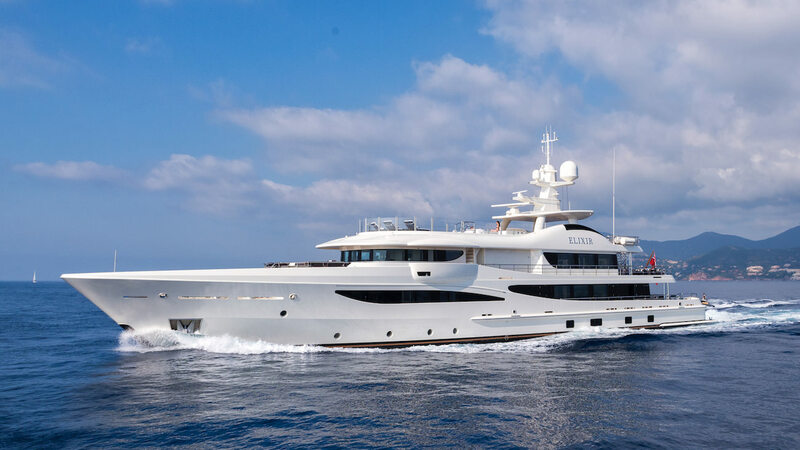 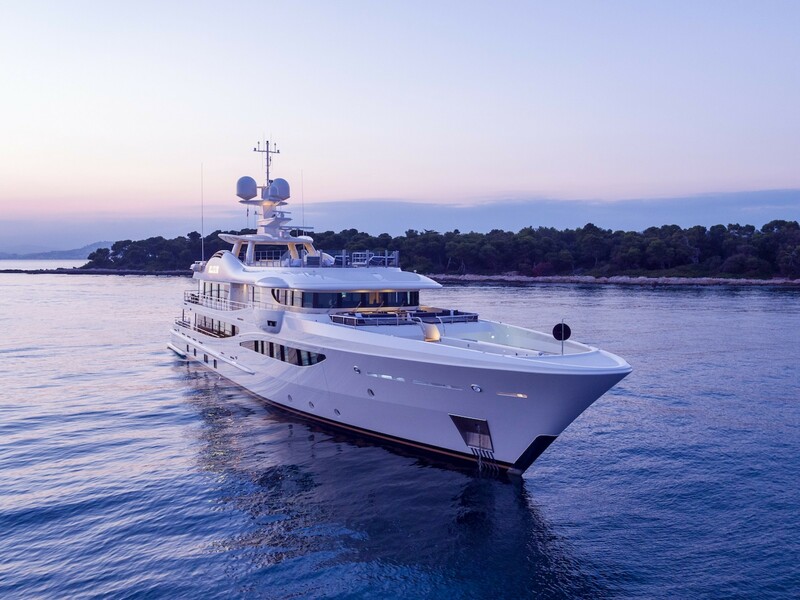 M/Y ELIXIR was a finalist at the International Superyacht Society Awards 2017 for Best Power 40m - 65m, and up to 12 guests are accommodated over five cabins. 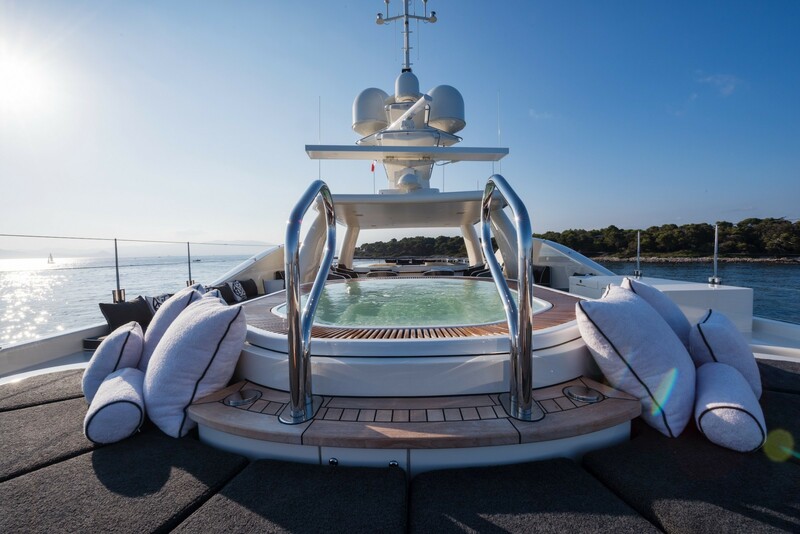 The generously large main deck aft makes full use of the 9.4m/30ft beam for a curved, elongated sofa looking out across the water. 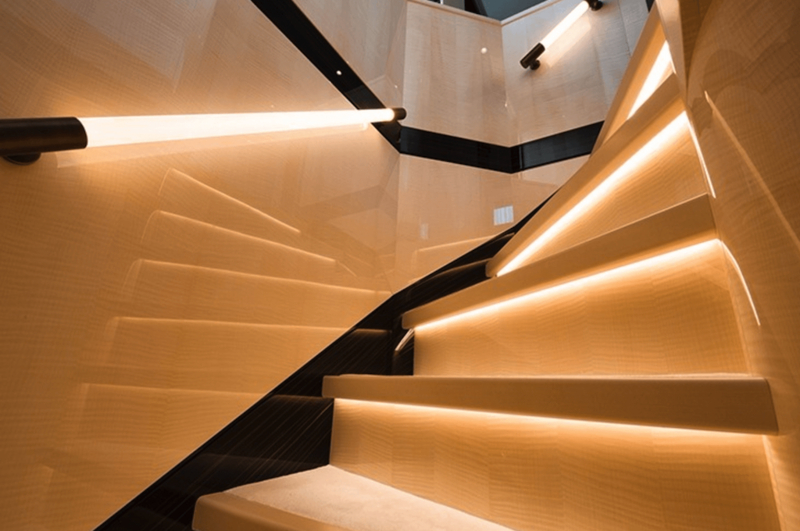 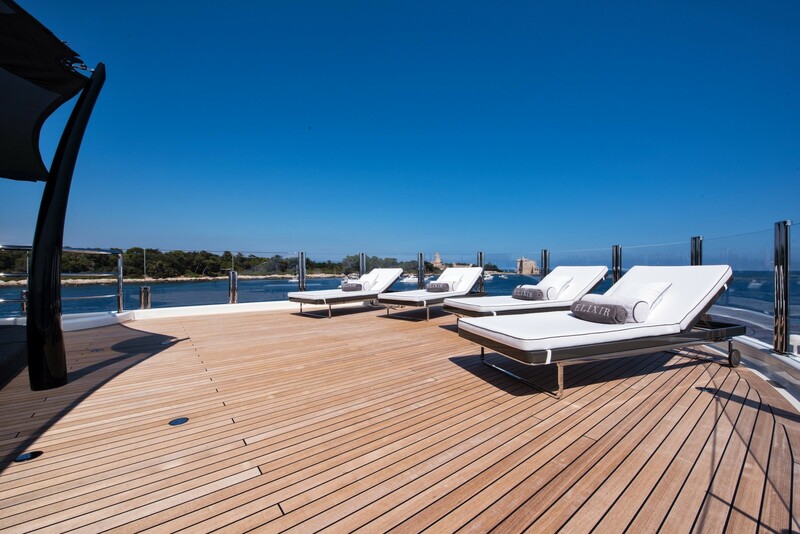 Staircases connect to the swim platform and the beach club below for ease of access to the sea and an opportunity to sunbathe amid the ambience of the location. The upper deck is designed for sophisticated alfresco dining and entertaining large groups: An oval table to seat eight rests under the shade of the sundeck hardtop, while out in the sunshine there are two beanh-like areas with padded seating for more dining opportunities and as a place to spread out with hobbies outside of mealtimes. 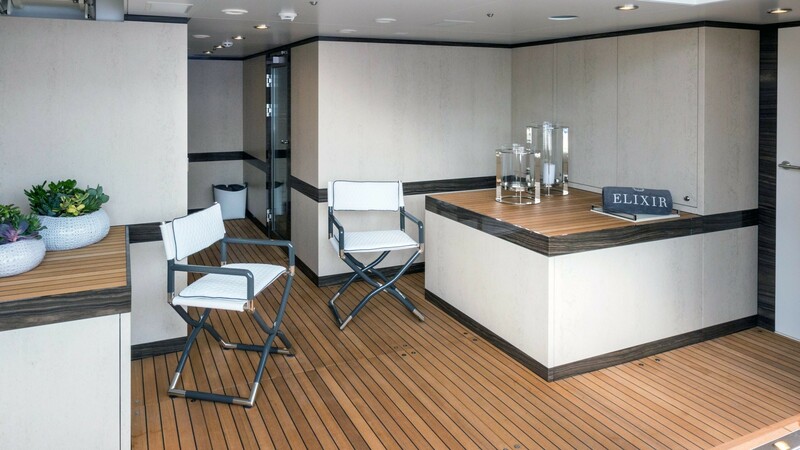 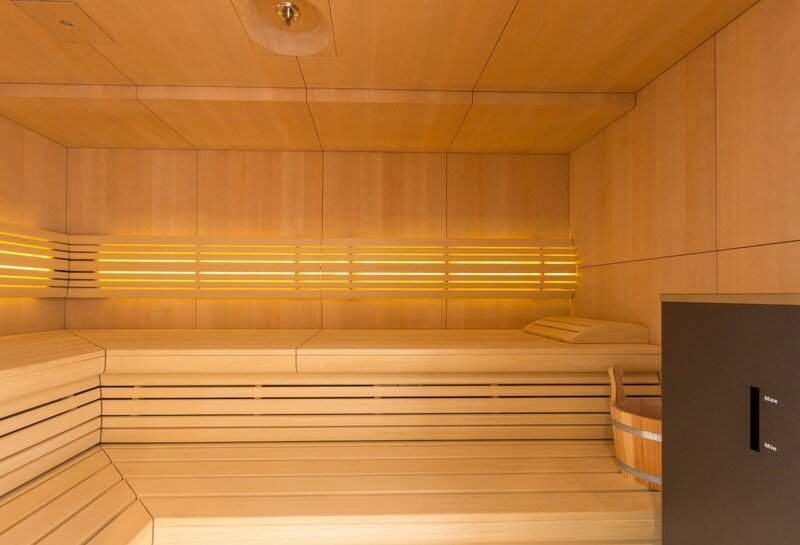 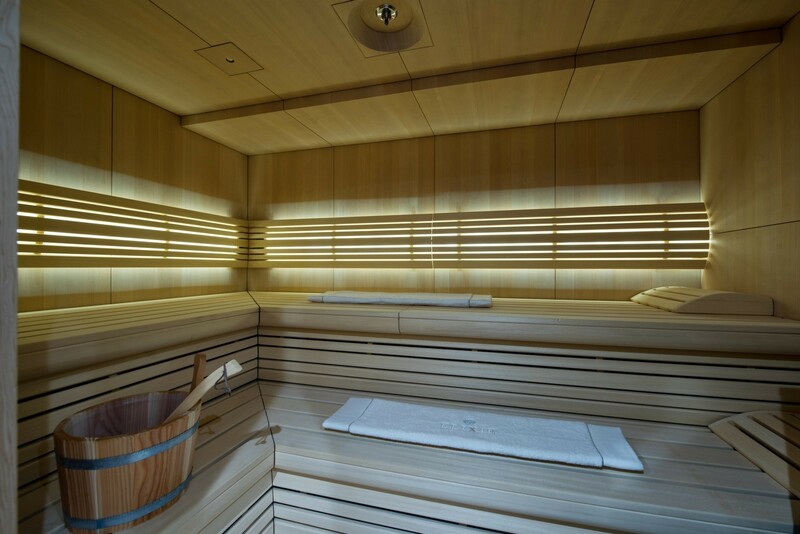 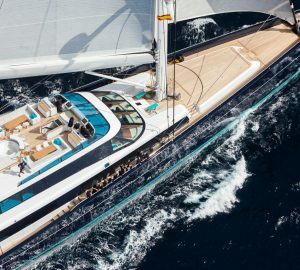 There is a Portuguese deck on the bow where guests can spend some private time in conversation or with reading material, and farther forward there are two sunpads with a walk-way splitting them down the centre. 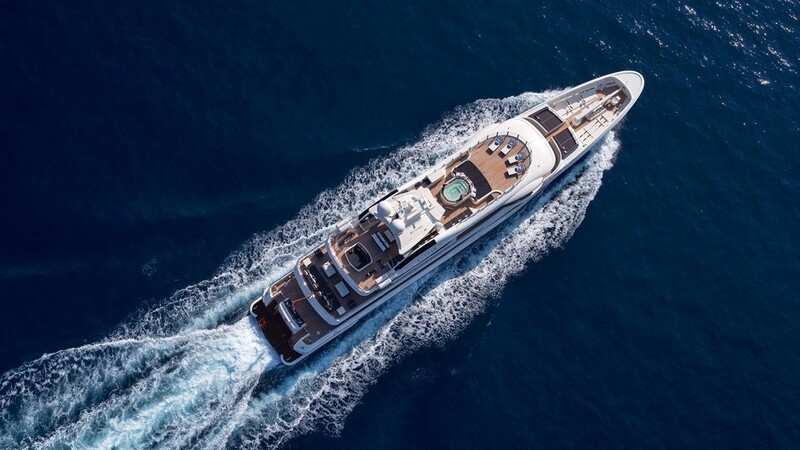 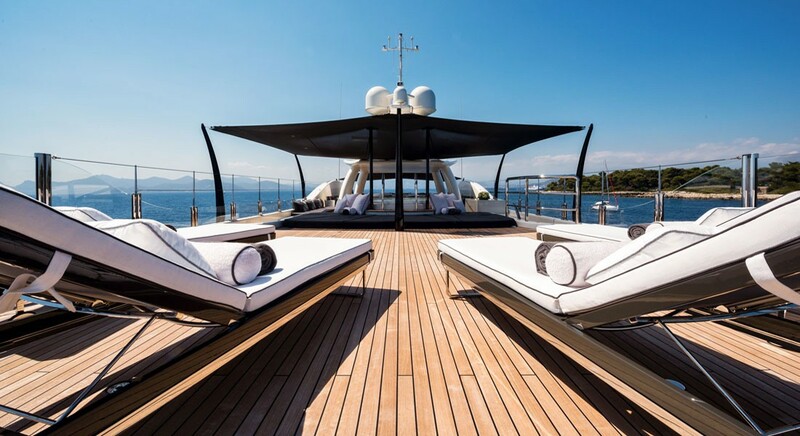 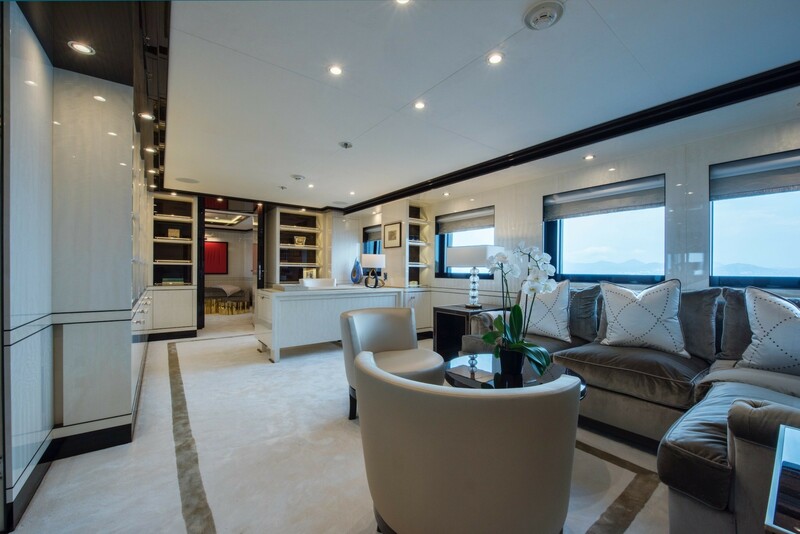 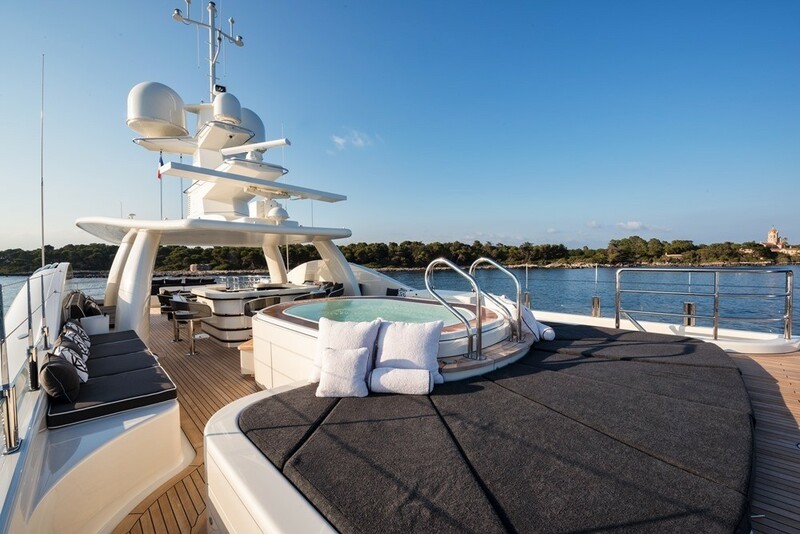 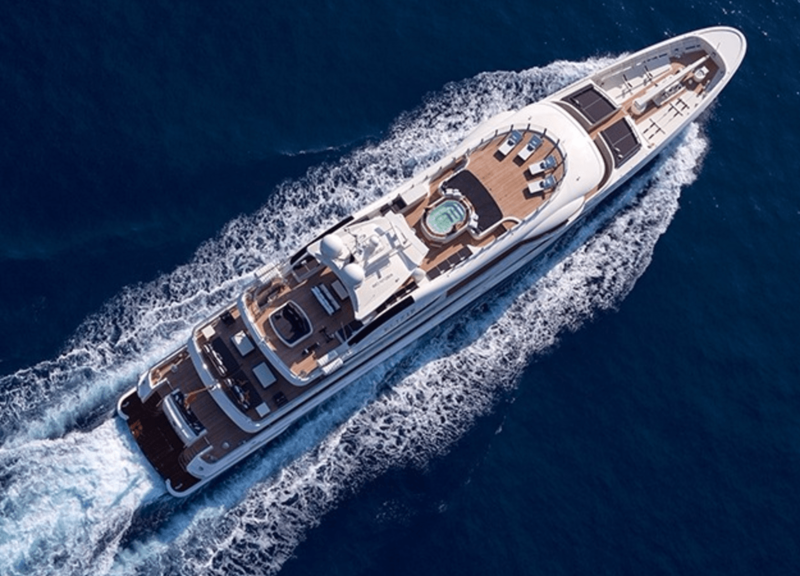 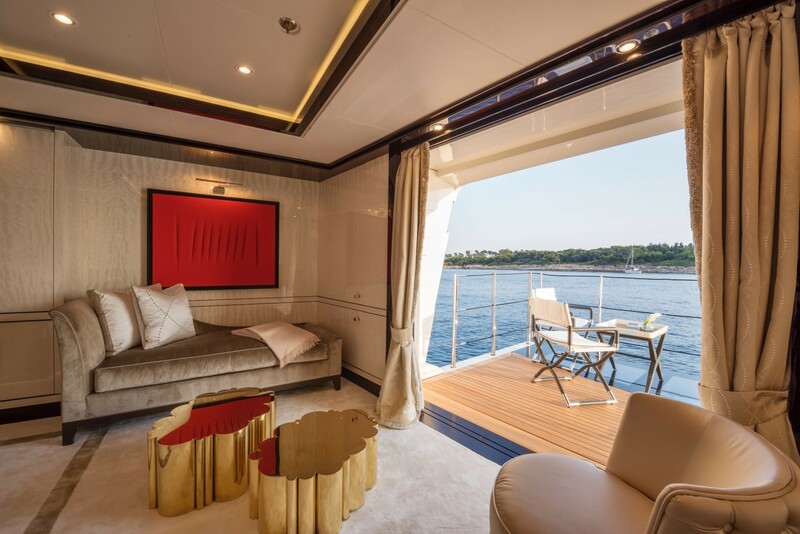 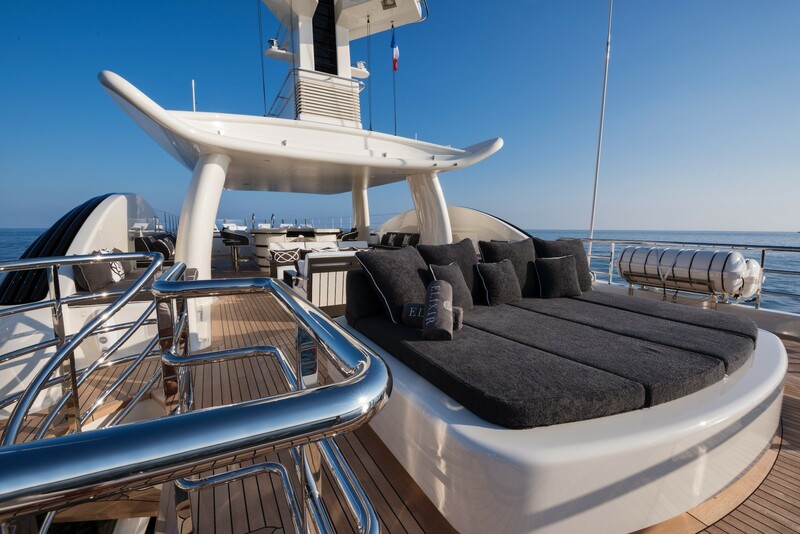 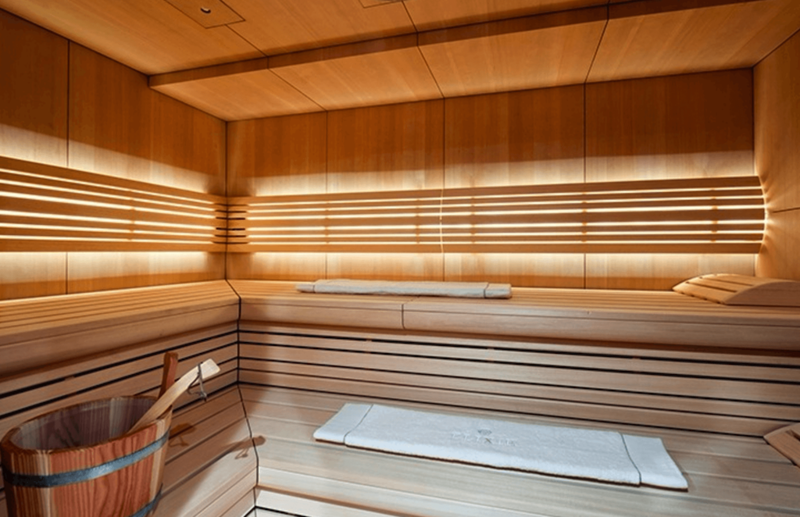 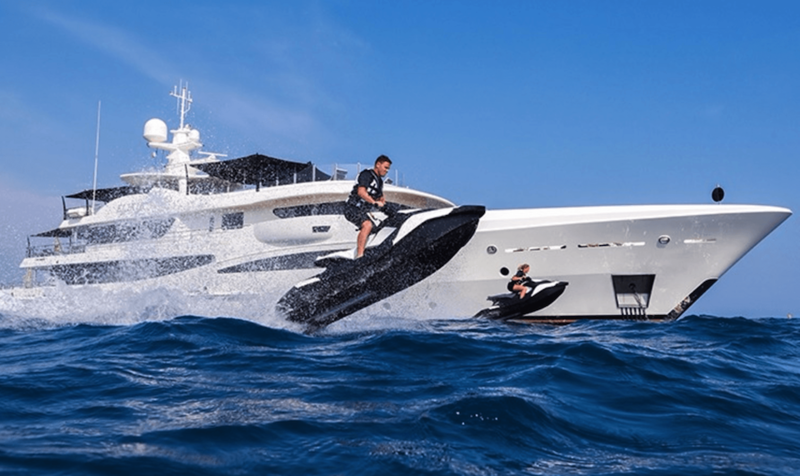 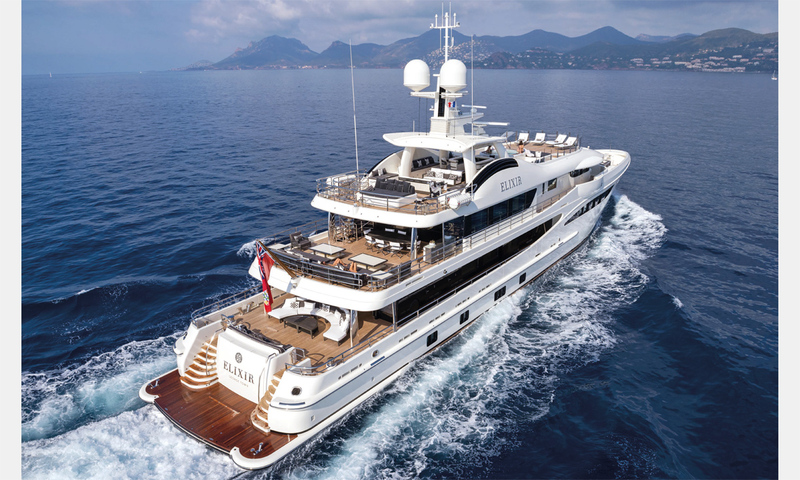 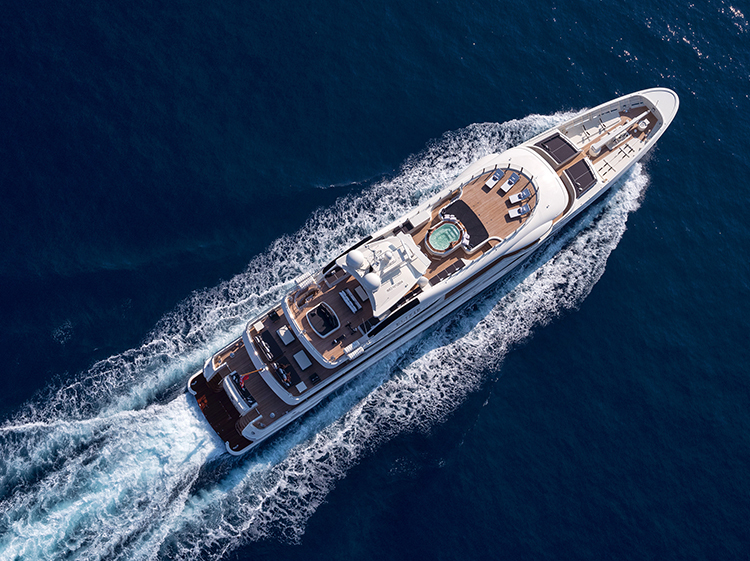 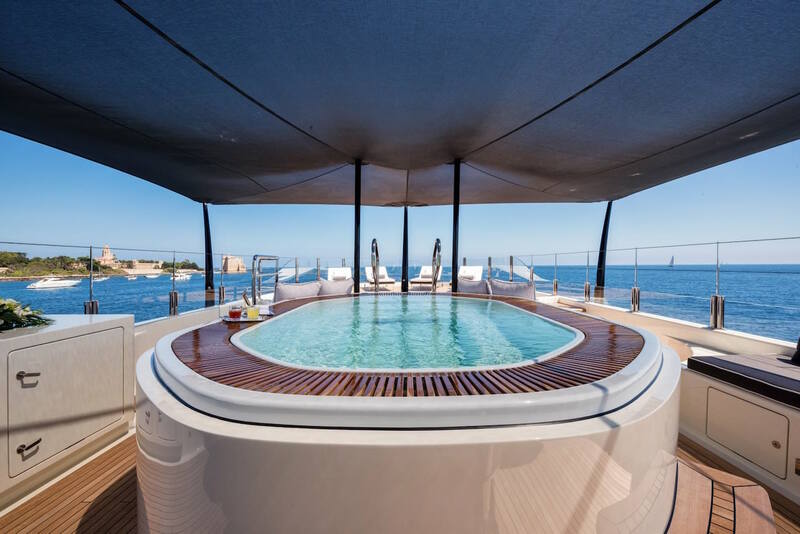 Arguably the best outdoor space aboard M/Y ELIXIR, the sundeck contains a broad aft sunpad, a shaded central lounge and a foredeck Jacuzzi, sunpads and sun loungers that can be covered by a canvas or exposed to the sun. 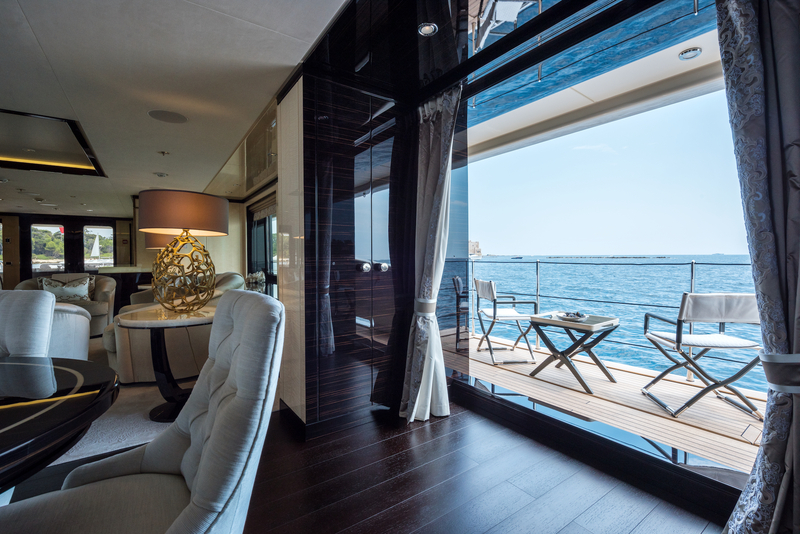 The majority of the guest accommodation is located on the lower deck, behind which is the engine room, tender garage and the beach club. Laura Sessa Romboli has created stately interiors with a monochrome colour scheme, using dark and light wooden panelling and cream furnishings. 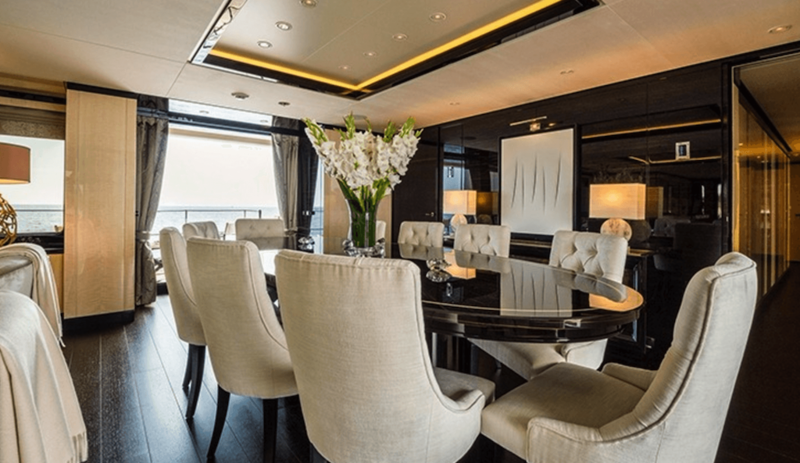 The main salon uses an open-plan layout that paces the formal dining area forward. 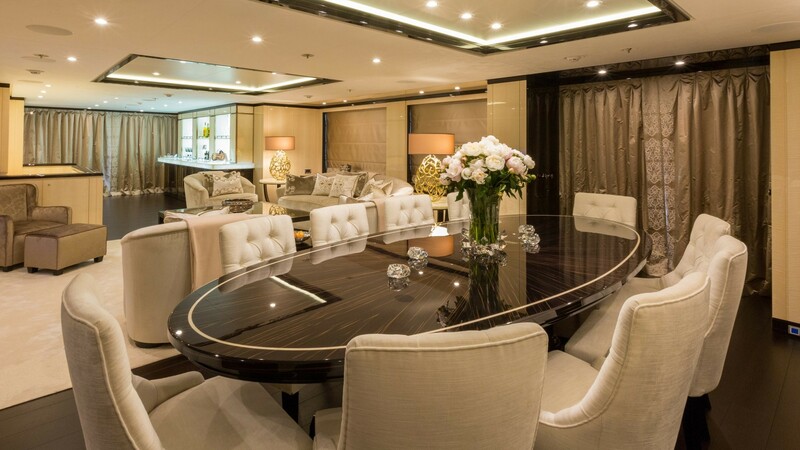 Up to 10 guests can be seated at the lavish oval dining table, where the gloss wood creates understated elegance for a memorable occasion. 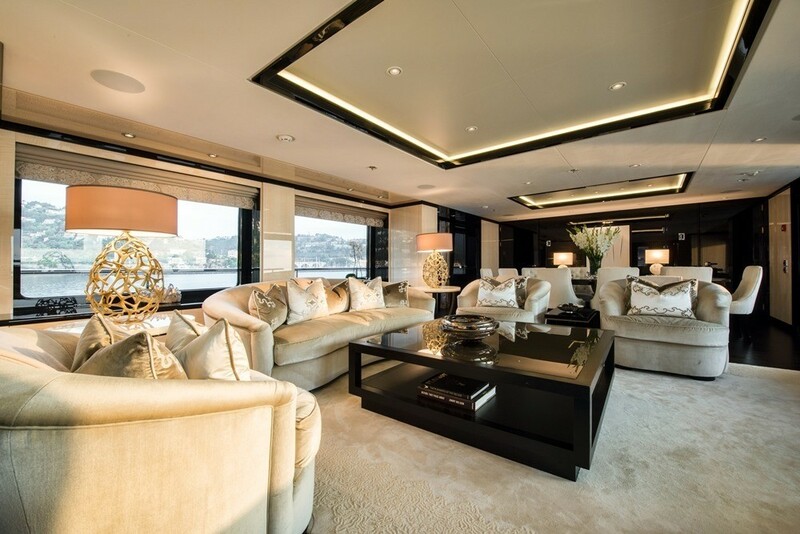 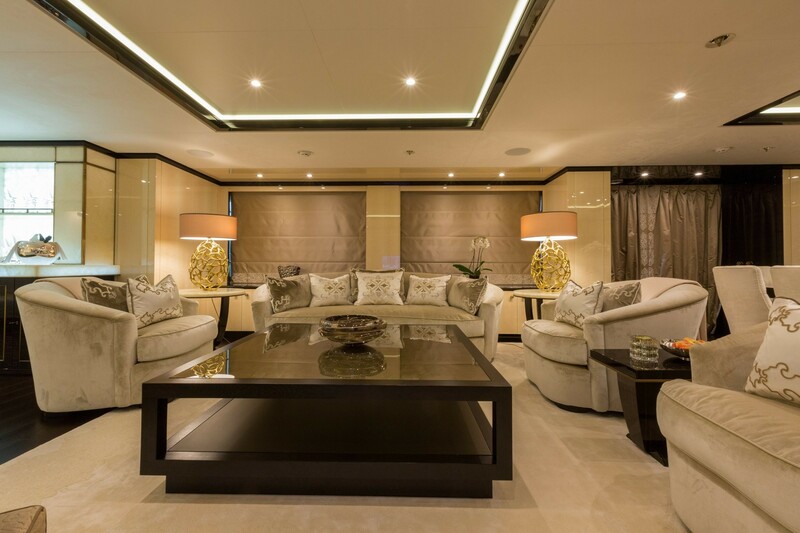 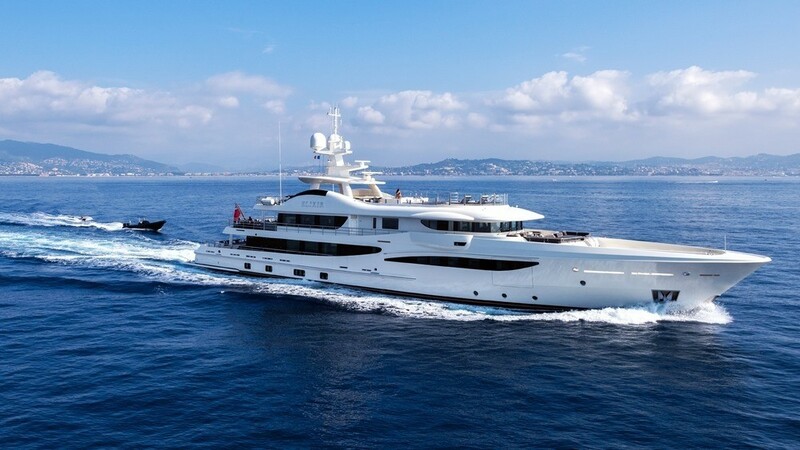 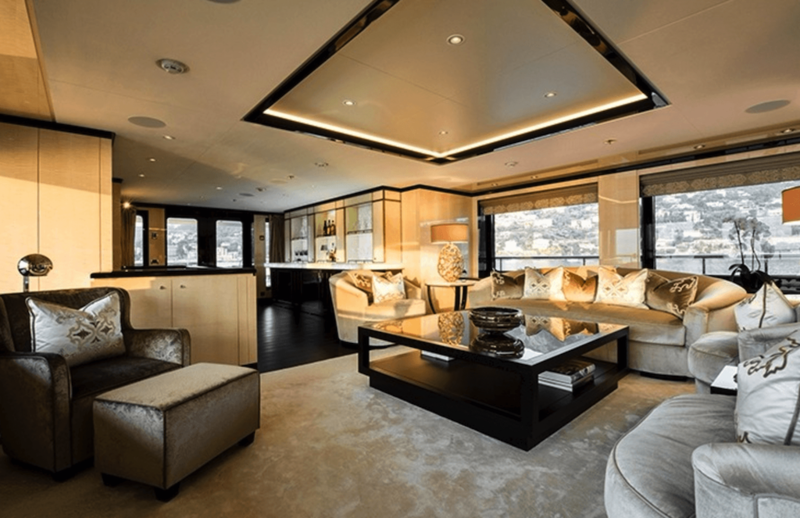 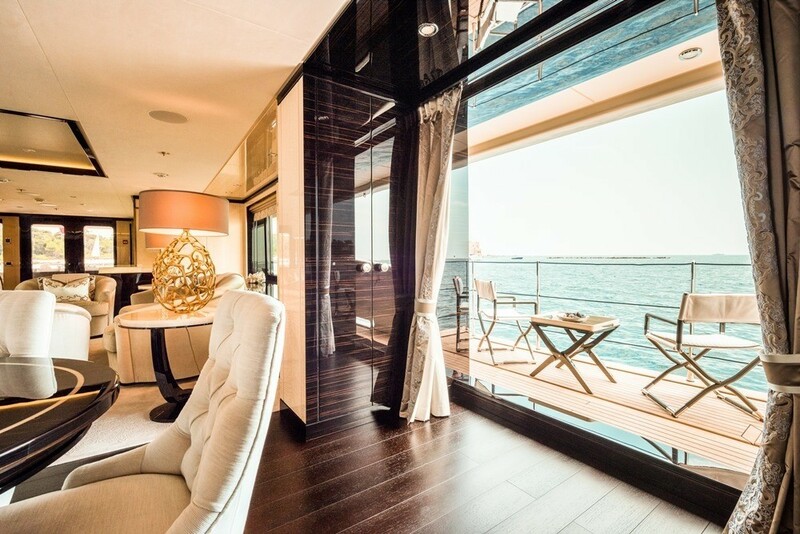 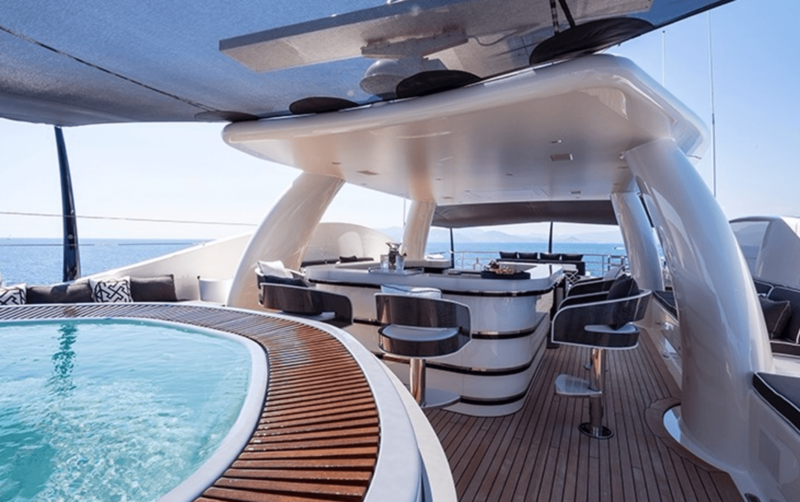 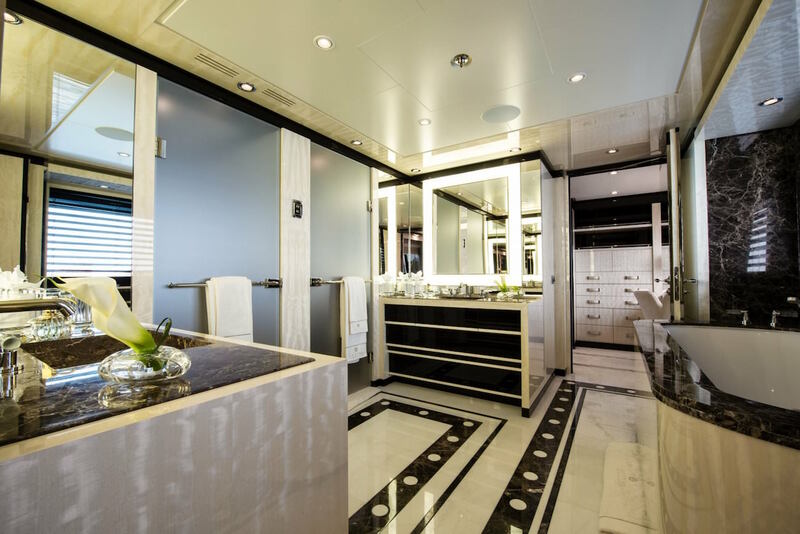 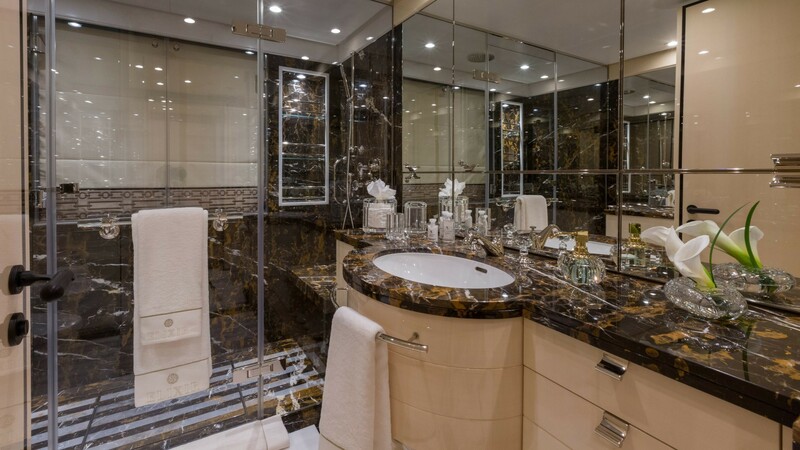 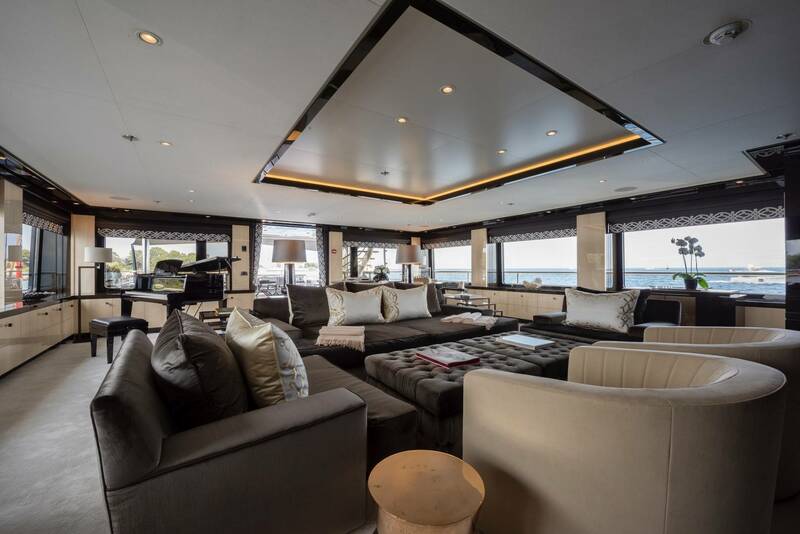 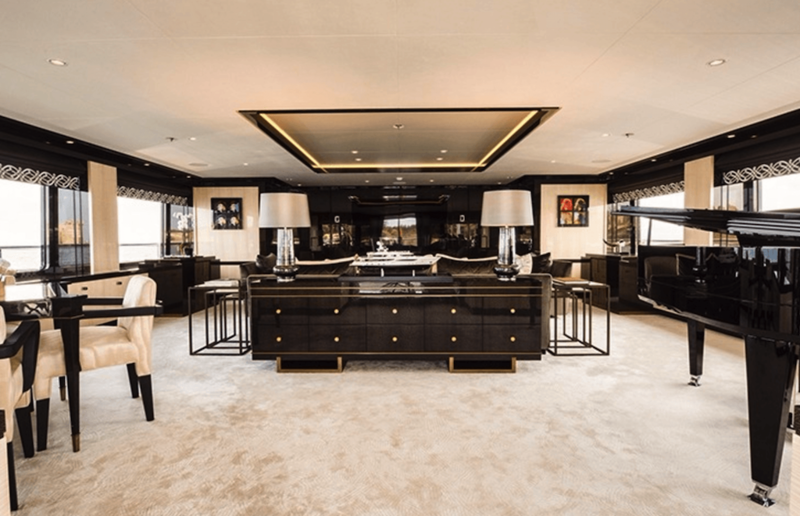 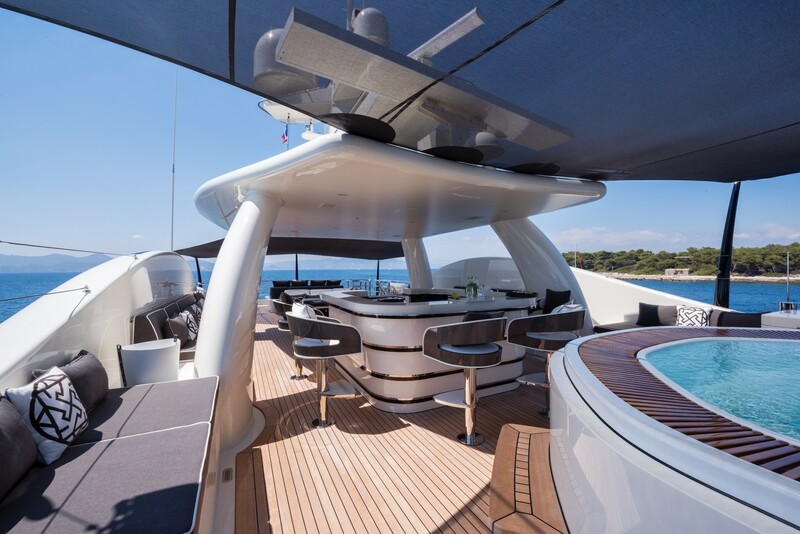 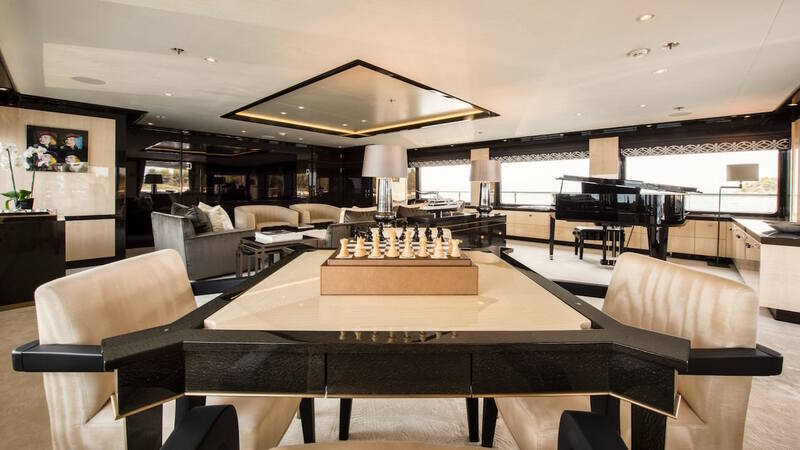 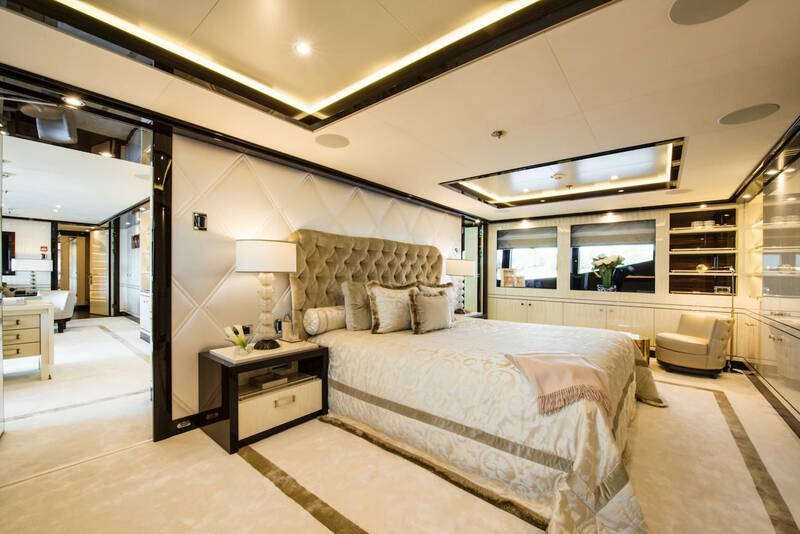 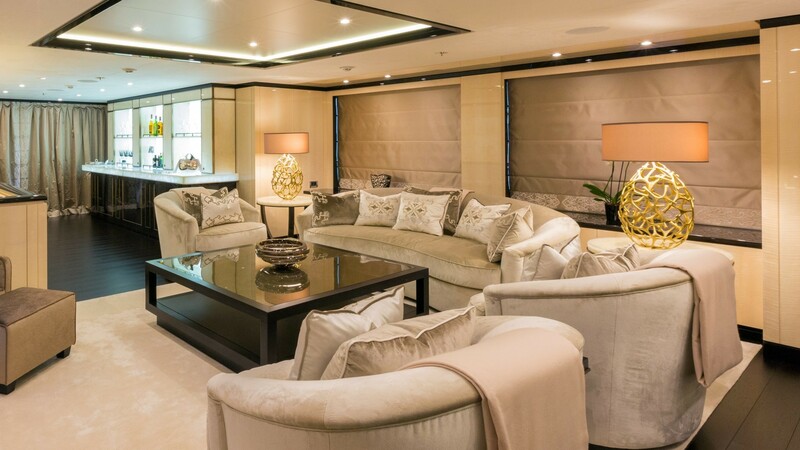 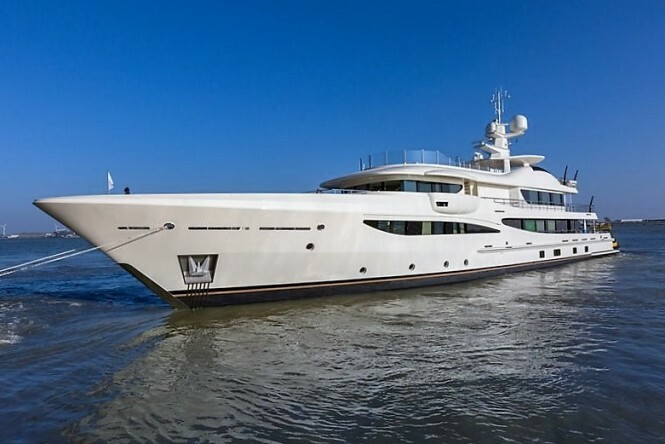 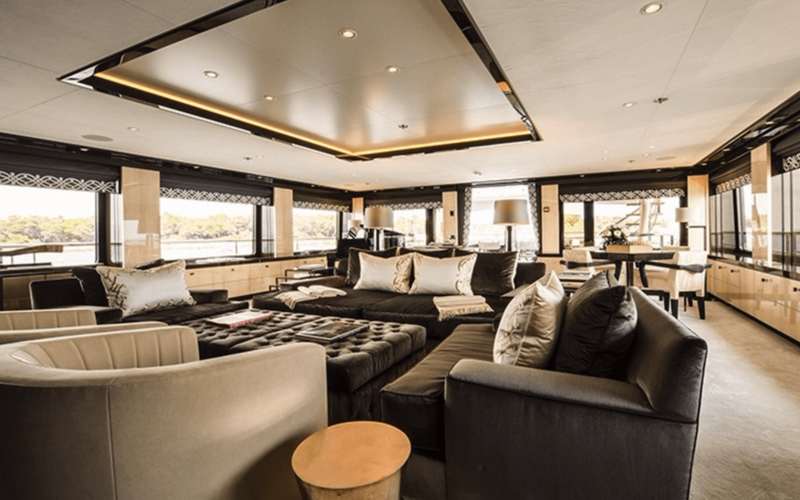 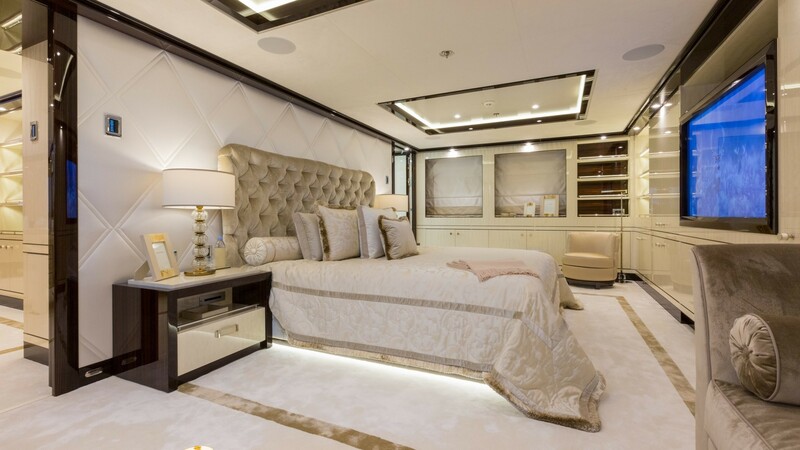 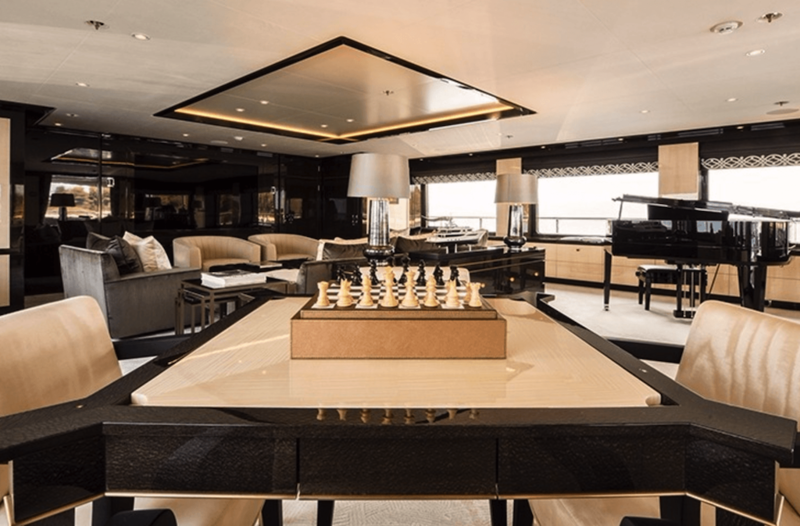 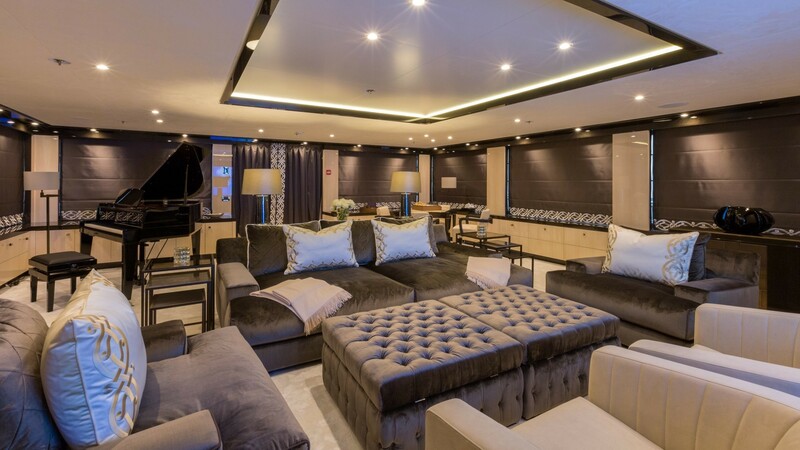 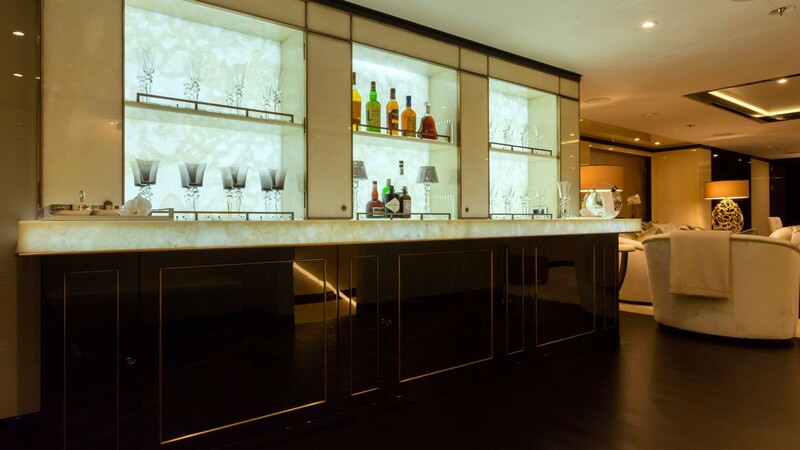 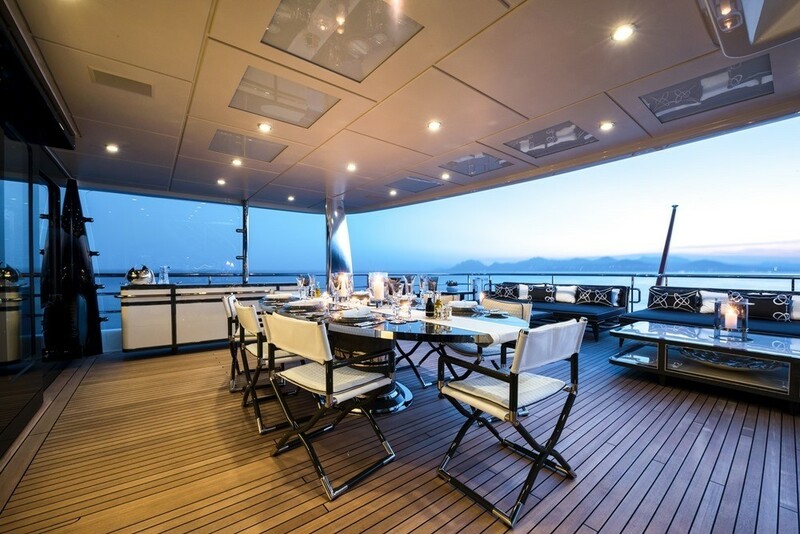 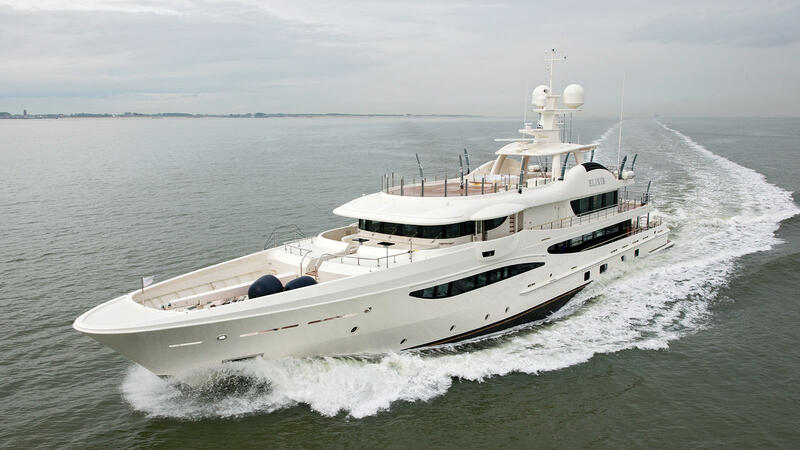 After a three-course meal, guests can settle into the sofas for conversation and drinks from the back-lit onyx bar, then watch the sunset from the large windows, the side terraces beside the formal dining area or from the main deck aft. 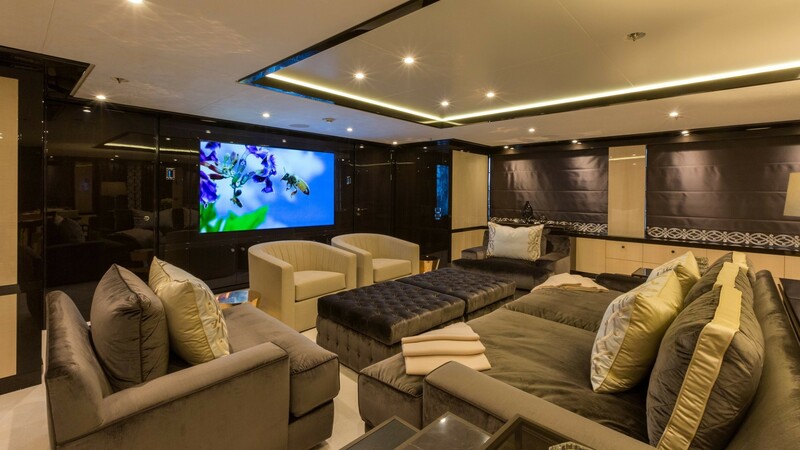 The upper deck skylounge also doubles as a cinema, where deep sofas create the perfect place to lie back with loved ones for family entertainment or a romantic film. 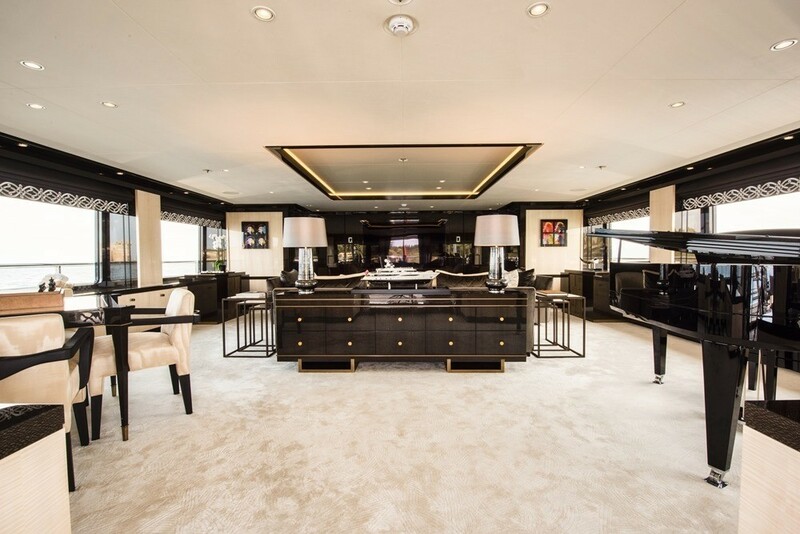 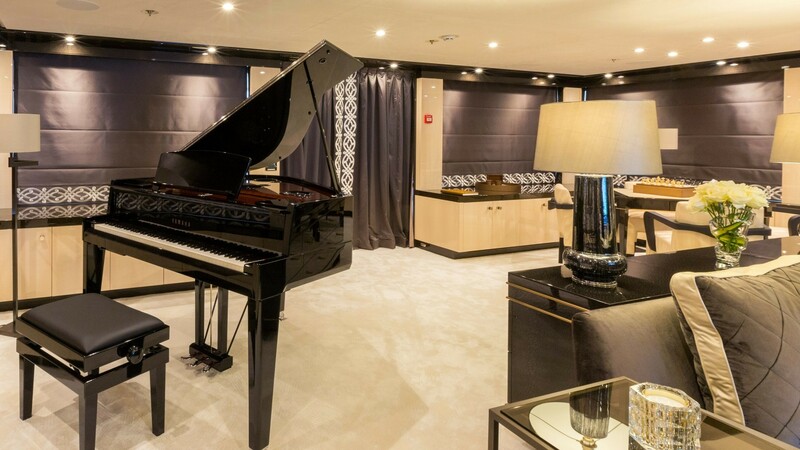 The grand piano will provide live music for your social event and the broad windows along the port and starboard sides ensure that this recreational area can be used during the day as well as at night. 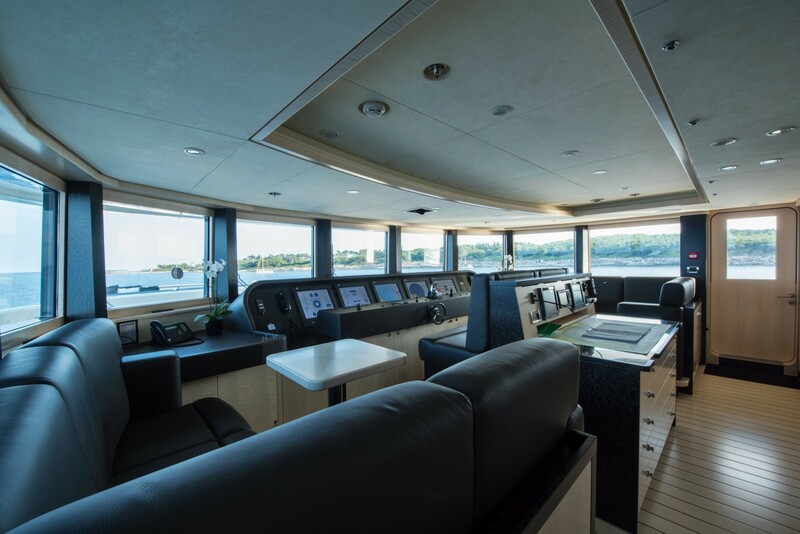 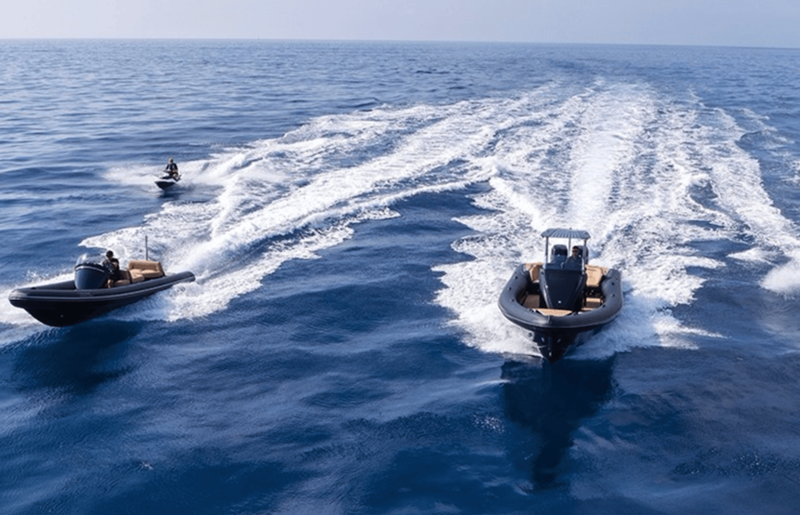 2 x MTU 2000 series M70 m engines produce a maximum speed of 15 knots and a cruising speed of 13 knots. 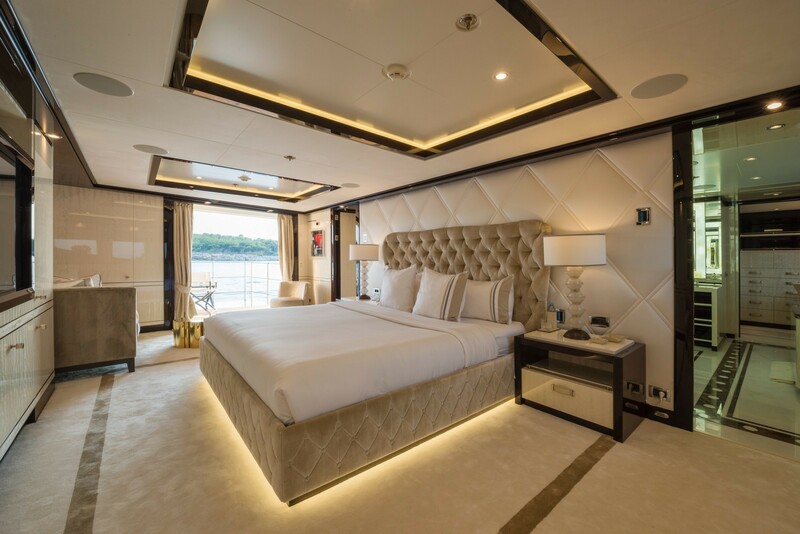 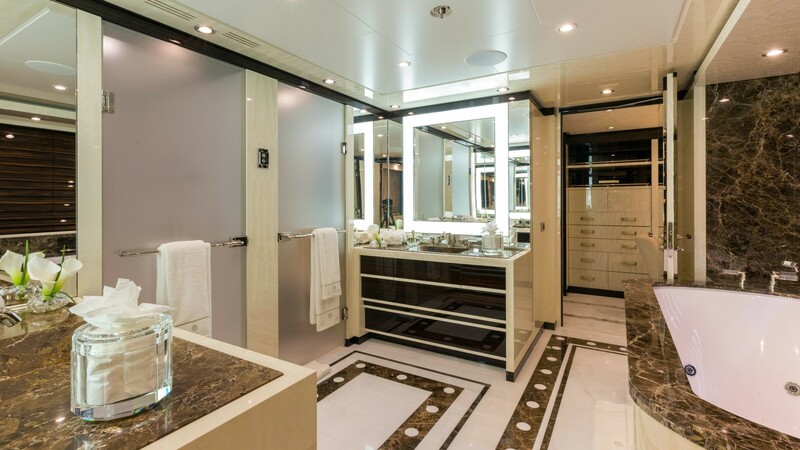 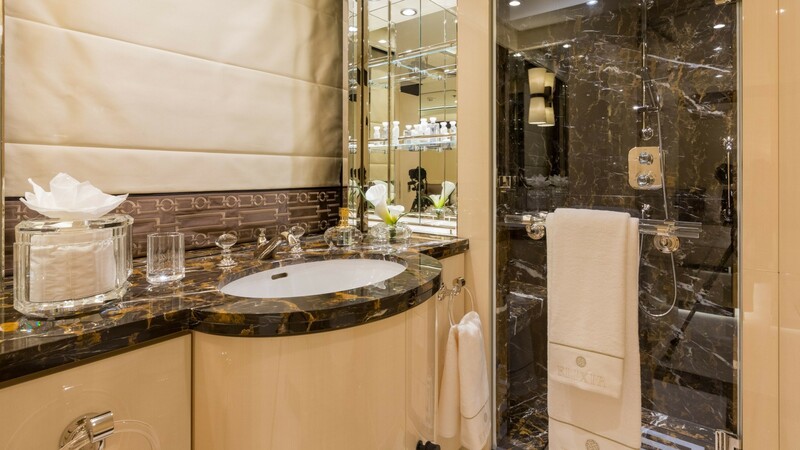 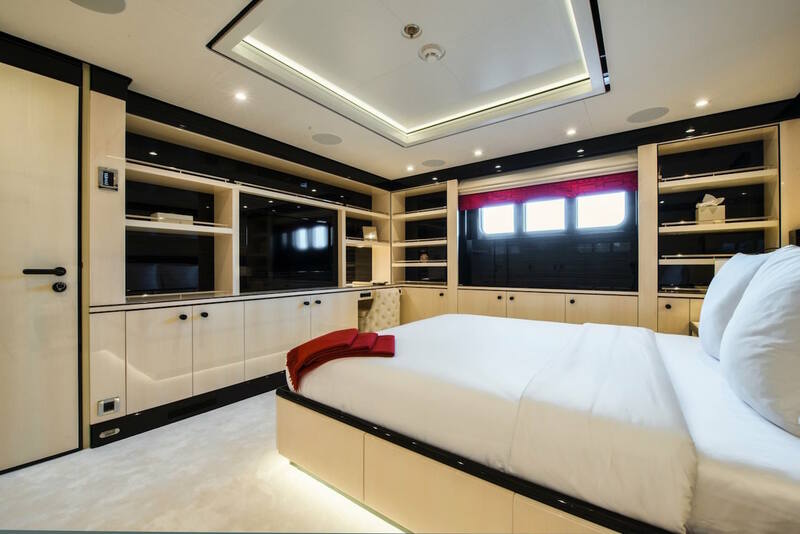 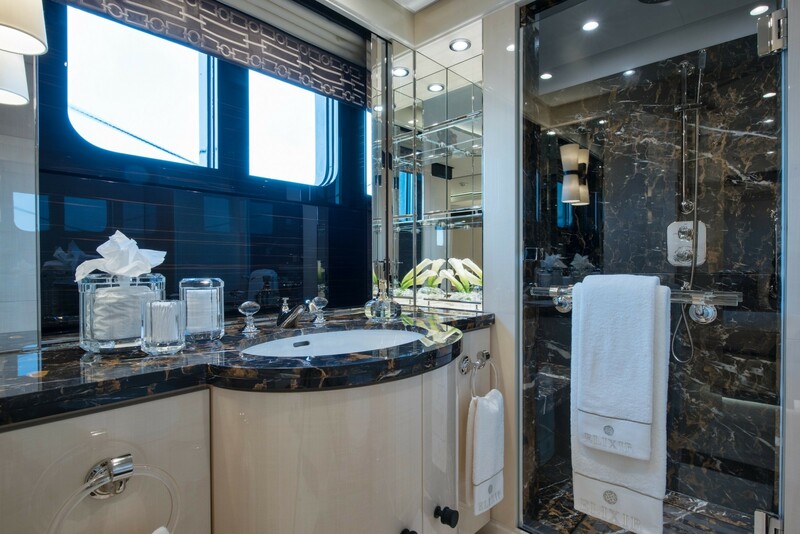 The accommodation layout is designed for 12 guests over 5 cabins: 1 Master suite, 1 VIP stateroom, 1 double cabin and 2 twin cabins.